Match ends, Paris Saint Germain 4, Monaco 0. Second Half ends, Paris Saint Germain 4, Monaco 0. Goal! Paris Saint Germain 4, Monaco 0. Ángel Di María (Paris Saint Germain) left footed shot from the left side of the box to the centre of the goal. Assisted by Adrien Rabiot following a fast break. Corner, Monaco. Conceded by Marquinhos. Attempt blocked. Stevan Jovetic (Monaco) left footed shot from the left side of the box is blocked. Assisted by Kamil Glik. Sofiane Diop (Monaco) wins a free kick in the defensive half. Sofiane Diop (Monaco) wins a free kick in the attacking half. Stevan Jovetic (Monaco) wins a free kick on the right wing. Stevan Jovetic (Monaco) wins a free kick on the left wing. Foul by Youri Tielemans (Monaco). Ángel Di María (Paris Saint Germain) wins a free kick in the defensive half. Substitution, Paris Saint Germain. Neymar replaces Marco Verratti. Substitution, Paris Saint Germain. Antoine Bernede replaces Thiago Silva. Attempt saved. Ángel Di María (Paris Saint Germain) left footed shot from the left side of the box is saved in the bottom right corner. Assisted by Marquinhos. Christopher Nkunku (Paris Saint Germain) hits the bar with a right footed shot from the centre of the box. Assisted by Marco Verratti. Goal! Paris Saint Germain 3, Monaco 0. Timothy Weah (Paris Saint Germain) left footed shot from the centre of the box to the bottom left corner. Assisted by Stanley N'Soki. Foul by Julien Serrano (Monaco). Substitution, Monaco. Jordi Mboula replaces Rony Lopes. Substitution, Paris Saint Germain. Marquinhos replaces Lass Diarra. Offside, Monaco. Julien Serrano tries a through ball, but Rony Lopes is caught offside. Attempt missed. Ángel Di María (Paris Saint Germain) left footed shot from the left side of the box is close, but misses to the left. Corner, Monaco. Conceded by Kevin Rimane. Corner, Monaco. Conceded by Thiago Silva. Attempt saved. Ángel Di María (Paris Saint Germain) left footed shot from long range on the right is saved in the bottom right corner. Assisted by Thiago Silva. Attempt blocked. Ángel Di María (Paris Saint Germain) left footed shot from outside the box is blocked. Assisted by Stanley N'Soki. Attempt saved. Stevan Jovetic (Monaco) left footed shot from the centre of the box is saved in the centre of the goal. Assisted by Youri Tielemans with a through ball. Attempt saved. Stevan Jovetic (Monaco) right footed shot from outside the box is saved in the centre of the goal. Assisted by Sofiane Diop. Substitution, Monaco. Keita replaces Samuel Grandsir. Substitution, Monaco. Sofiane Diop replaces Pelé. Delay in match Diego Benaglio (Monaco) because of an injury. Goal! Paris Saint Germain 2, Monaco 0. Christopher Nkunku (Paris Saint Germain) right footed shot from very close range to the high centre of the goal. Assisted by Stanley N'Soki with a cross. Stevan Jovetic (Monaco) wins a free kick in the defensive half. Attempt missed. Stanley N'Soki (Paris Saint Germain) header from the centre of the box misses to the left. Assisted by Ángel Di María with a cross following a corner. Attempt missed. Rony Lopes (Monaco) right footed shot from very close range is close, but misses to the right. Assisted by Samuel Grandsir with a cross. Goal! Paris Saint Germain 1, Monaco 0. Ángel Di María (Paris Saint Germain) from a free kick with a left footed shot to the high centre of the goal. Youri Tielemans (Monaco) wins a free kick in the defensive half. Attempt blocked. Colin Dagba (Paris Saint Germain) right footed shot from the right side of the box is blocked. Assisted by Ángel Di María. Attempt missed. Jean Eudes Aholou (Monaco) left footed shot from outside the box is too high. Assisted by Stevan Jovetic. Corner, Monaco. Conceded by Stanley N'Soki. Attempt saved. Ángel Di María (Paris Saint Germain) right footed shot from the left side of the box is saved in the bottom left corner. Assisted by Stanley N'Soki. Attempt missed. 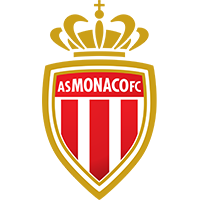 Andrea Raggi (Monaco) header from the centre of the box misses to the left. Assisted by Rony Lopes with a cross following a corner. Offside, Paris Saint Germain. Colin Dagba tries a through ball, but Ángel Di María is caught offside. Attempt missed. Ángel Di María (Paris Saint Germain) left footed shot from the left side of the box misses to the left. Assisted by Adrien Rabiot. Jean Eudes Aholou (Monaco) is shown the yellow card for a bad foul. Offside, Monaco. Youri Tielemans tries a through ball, but Kamil Glik is caught offside.